Hmmmm... what do you think I will be making this weekend? Guess you will have to wait and find out next week! ;) Okay, okay... 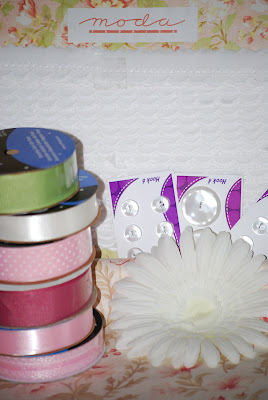 I will give you one hint... it is for the Moda Bake Shop. Have a great weekend!!! In the meantime... go and check out all the other great projects that are posted at the MBS! very nice, I cannot wait to see what you make, I love your blog!! I sure wish I had all things Moda at my disposal, you are very lucky!!! (and talented) have fun this weekend!! So happy to read that your weekend project is for Modo Bake Shop. That way it might be MY project NEXT weekend. Ohhhh, can't wait to see!! Love, love, love anything 3 sisters...can't wait. I love the fabrics :0) I also like your new polka dot background. I can't wait to see what you have made. 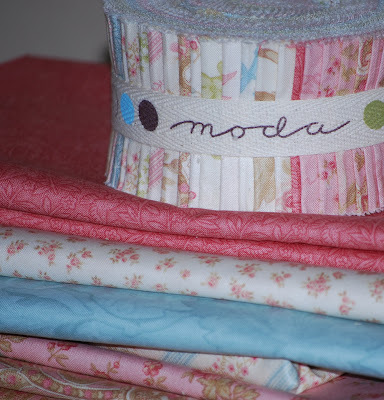 I love the Moda Bake Shop, I'll be looking for your project to be posted there soon. Aviary is awesome fabric. Looking forward to what gorgeousness you come up with this weekend! I love the girly prettiness of Aviary. It is bound to be lovely. I love the looks of all these goodies and I'm wearing my poor buttons out checking The Bake Shop for whats to come. Weekend Project... REVEALED and GIVEAWAY!